Our team strives to make each dental appointment a positive experience. Not only do we hire team members with outstanding professional skills, we also ensure that our team is compassionate and friendly so you feel comfortable while you are with us. Please take a moment to read our biographies and learn a little about us, and rest assured that we are very excited to meet you! I am experienced and confident in providing patients with dental care that makes them look and feel their best! I enjoy being able to offer dental care to those that could not otherwise afford it because I know that patients cannot be completely healthy without the proper oral care. We provide education and training to others that are interested in the dental profession and consistently mentor others in dentistry. Staying current is important. We incorporate the latest technology in the practice allowing us to provide the best care available to our patients. We are very fortunate to have some of the must colorful, fun, supportive and understanding patients. I also appreciate that we have an awesome team of professionals that make all of this happen! When relaxing, Dr. Thomas enjoys photography, scuba diving, tech exploration, maps, and fitness. Dr. Noelle Peters earned her undergraduate degree at the University of Pittsburgh in Biology with a Conceptual Foundations of Medicine Certificate. She then went on to earn her Doctorate of Dental Medicine Degree at the University of Pittsburgh School of Dental Medicine and completed a one-year residency at St. Elizabeth Hospital in Youngstown, Ohio with advanced training in oral maxillofacial surgery, implantology, endodontics, and dental trauma. After Dr. Peters completed her residency, she worked in a private practice in Mercer, PA before joining our team. I love getting to know our patients personally and meeting new ones. I enjoy helping people overcome their dental fears and learn to love their smile again. Working alongside Dr. Thomas and our team makes every day fun! She brings all of these amazing skills to our Hermitage, PA dental practice and joined us two years ago! When Dr. Peters is enjoying her free time, you can find her attending country concerts with her husband, Josh, and cheering on all of the Pittsburgh teams! She and her husband also enjoy outdoor adventures and exploring new biking trails. Leia received her Bachelor of Science Degree in Dental Hygiene from the Medical College of Virginia/Virginia Commonwealth University in 1989. She has practiced dental hygiene in both general dentistry and periodontal practices in Virginia, California and Pennsylvania. I have been practicing dental hygiene at Thomas Family Dentistry since 2008. I love coming to the office every day and working in such a state of the art facility with dentists that truly care about the treatment they provide, and are excellent at what they do. I look forward to each day with my patients and love to mix in fun with our treatment and education. Our patients are not just patients, they are our friends. Leia is a member of the American Dental Hygienist Association and has held positions at the state and local levels. She relocated to the Shenango Valley from California in 2000 and resides in Sharpsville with her two children, Alexa and Madison. She enjoys working every day with wonderful patients, biking, hiking, spending time outdoors and enjoying quality time with her children and animals. Megan Davis is one of our certified dental assistants. She grew up in Transfer, PA where she attended Reynolds Jr. Sr. High School, graduating in 2012. She then sought her dental assisting certificate and graduated with honors from Choffin Career and Technical Center in 2013. Joining us in 2013, Megan has brought her talents with her to our Hermitage, PA dental office. "I love getting to know our patients and seeing the difference we make in their smiles! I also enjoy having fun and making memories with my work family!" Outside of the office Megan loves spending time with her husband, Tommy and their son, Logan! You can also find her visiting family and friends, cooking, painting and playing with her two dogs, Mika and Kain. Shelby, who originally comes from West Middlesex, PA, earned her Bachelor’s Degree in Dental Hygiene at Youngstown State University where she graduated with honors and was on the dean’s list. Shelby joined us in the summer of 2016 and though she is new to our practice, she has already become a valuable part of our team. What I love most about dental hygiene is making patients feel more confident in their smiles, so that they are not afraid to share it with others! I feel passionately about educating patients on the importance of oral health and its systemic link to overall health. One of my favorite parts of the job is seeing patients that once feared coming to the dentist feel comfortable and grow to love it! When Shelby is not improving our patients’ smiles, you will find her running, eating, or being outdoors. She loves spending time with her boyfriend, family and friends... especially her newest nephew, Shane! Amy joined us a year ago and originally comes from Sharpsville, PA. She earned her Bachelor’s Degree from Youngstown State University. She is often the first person you will see when you walk into the office! I love being a part of something larger that makes a difference in people’s lives. Our dentists and team genuinely care about their work and our patients. My co-workers are a pleasure to work with and make my job enjoyable. In Amy’s free time, you can find her spending time with her husband, Dennis, and three daughters, Brittany, Breanna, and Bridget. They enjoy travelling, camping, horseback riding, and visiting the beach. Jennifer is a 2002 graduate of Youngstown State University with an Associate’s Degree in Dental Hygiene. She earned her EFDA certificate in Florida. We are lucky that Jennifer has been with us for 12 years. I love being a dental hygienist and working with people of all ages! My coworkers are some of the most compassionate and professional people I know. Jennifer eventually returned to the Shenango Valley to be closer to friends and family. Upon returning to the area, Jen worked as an assistant, then as a dental hygienist for five years in a specialized periodontal practice. Jen continues to expand her knowledge in dentistry through many continuing education courses. She and her husband, Chuck, enjoy traveling, sporting events, and spending time with their friends, family and their dogs. Jessica is a local graduate of Mercer High School's class of 2013. After high school, she went on to Choffin Career and Technical Center's Dental Assisting Program in Youngstown, Ohio. Since graduating in 2016 as a Certified Dental Assistant, Jessica has worked for St. E's Dental Clinic in Youngstown and in oral surgery down in Pittsburgh for the next few years. Jessica was hired with us in June of 2018 and has already become a great asset to our office. What I love most about my job is seeing the change in patients' confidence when they are finally happy with their smile! I'm also very fortunate to be surrounded by such positive and well educated co-workers! Outside of Thomas Family Dentistry, you'll find Jess at the gym, being outdoors, spending time with her family, friends and dogs! Shanequa was born and raised in our very own Hermitage, PA her whole life where she currently resides. Shanequa has her bachelors degree in human resource management from Geneva College. Though she is new to our team starting in 2018, she has already made our office like home. Shanequa has worked with insurance for several years and has always enjoyed meeting new patients. As our front desk attendant, it is Shanequa's job to make sure the day-to-day operations of our dental office run smoothly so that your appointment is the best possible! 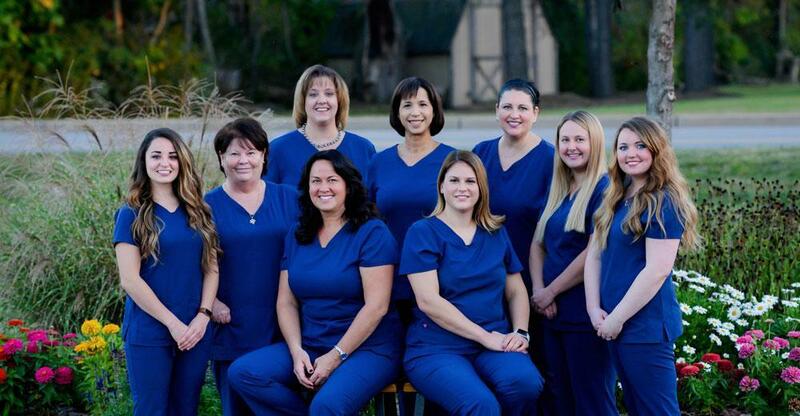 I love this office because I was welcomed as family from the very beginning, Thomas Family Dentistry is like a family and always makes me feel at home, even though I'm at work! Outside of work, you can find Shanequa shopping or singing karaoke!